For the last week of Sparkle Month, here on the nail files, I decided to go all out and use as many sparkles as possible. Naturally, it made my freaking week. Because sparkles rule!! Haha! I can't even with this mani, guys. It's so beyond sparkly and I love every single element. Plus, depending on the light, it looks different every time I look at it! The silvery-sparkle nails have two coats of Mirrorball, but there are three layers of sparkles on my feature fingers. First, I did one coat of Steal the Spotlight and when that was dry, I added two thin coats of Mermaid Tale and Monster Mash, with each colour filling half of the nail. I reversed them as well, just for a little more visual interest. Not that this mani actually needed it. Haha! For the final touch, I added two rhinestones to each feature nail. Like I said earlier, loooooooooove. So that brings us to the end of Sparkle Month, and I'm sorry to say that I have another sad announcement. After a lot of thought, I've decided to stop hosting weekly linkups. In April, I recommitted to blogging more and I've found that my nail files posts take twice the time to write/put together as other posts. When I first started hosting, I wasn't writing as much and had more time, but now, things have changed and unfortunately, in order to have a more well-rounded blog, I need to let the nail files go. But before I shut it down, I'm proposing one final linkup: next week, on August 7th--a swan song to the nail files, if you will. Whether you choose to do a recreation of a past nail files mani, share your ultimate favourite nail colour, or even a collection of pictures that highlight past nail files manis, any post is welcome! Frankly, I'll probably do a combination of all three because I really am sad to say goodbye. That's not to say that I won't still post pictures of my nails, but it'll be mostly on Instagram. I'm sad to see this linkup go but total understand why. I hope you still keep posting pictures of you nail on IG. I truly enjoy seeing them. 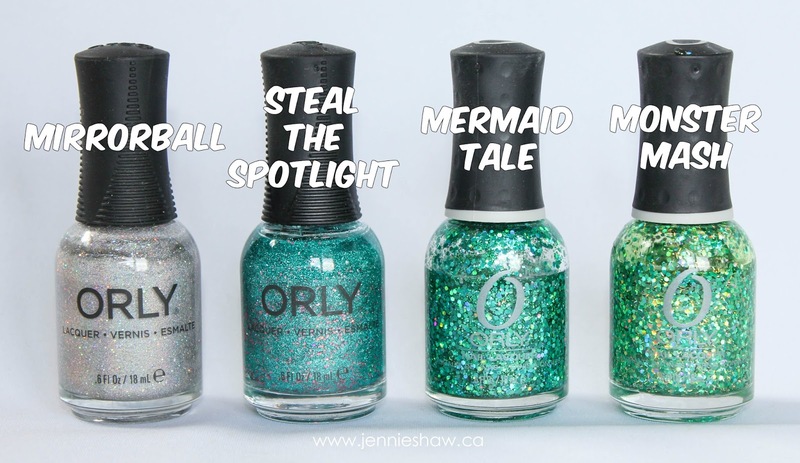 And also....your nails are totally pretty princess mermaid nails! I love all the shimmer! I went for more summer/seaglass this week, the complete opposite. Now I need to figure out what to do for next week's swan song (which would be cool to draw swans...if I had any artistic talent...hrmmmmm). These are so sparkly & pretty. I'm so sad that you will be ending nail files. I will continue to post photos of my nails each Friday on my blog & Fb. Week 216 for me this week, I missed 1 week since the beginning. So if anyone wants to join me that would be great.